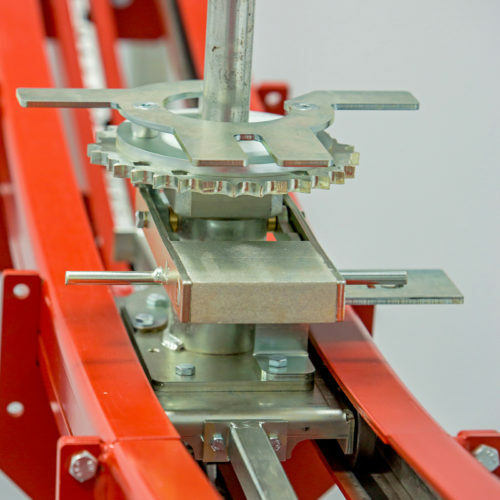 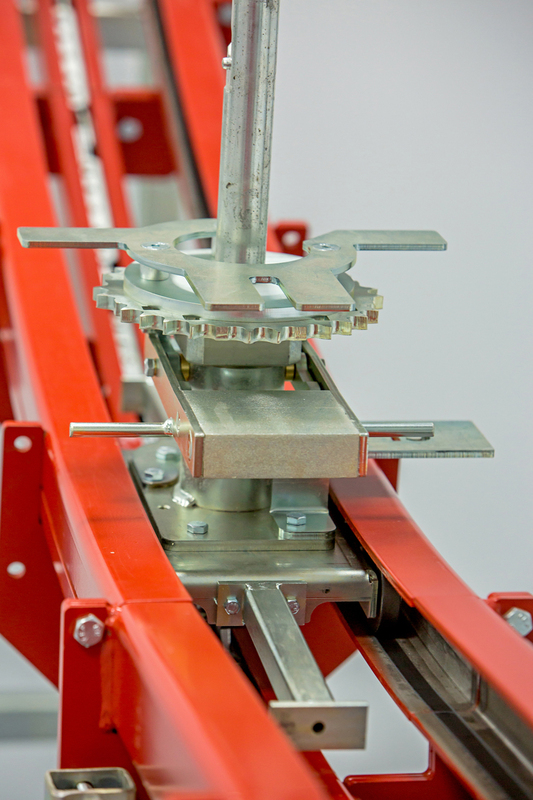 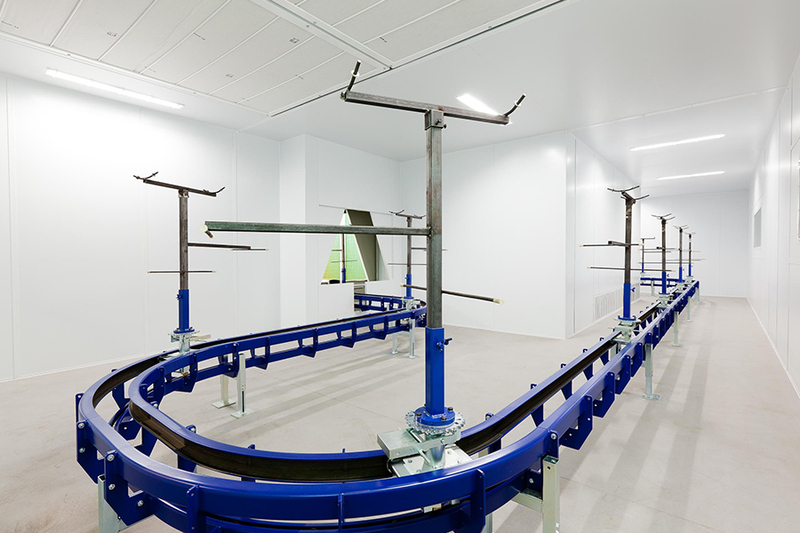 Working with the leading suppliers of conveyor systems Junair select the ideal conveyor system for your needs. 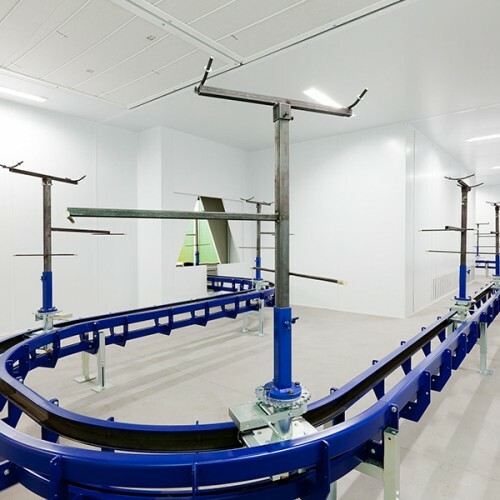 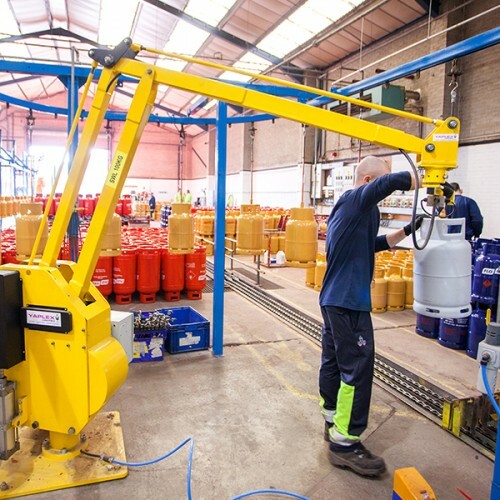 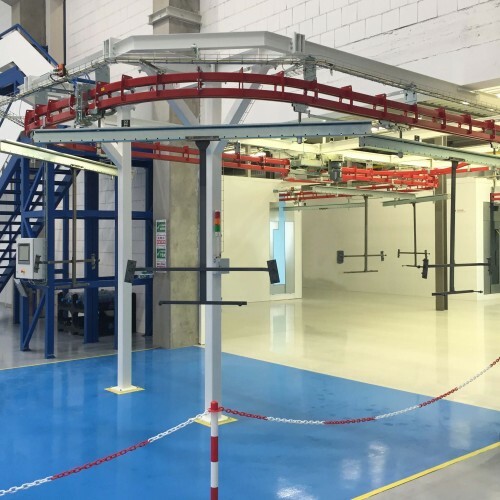 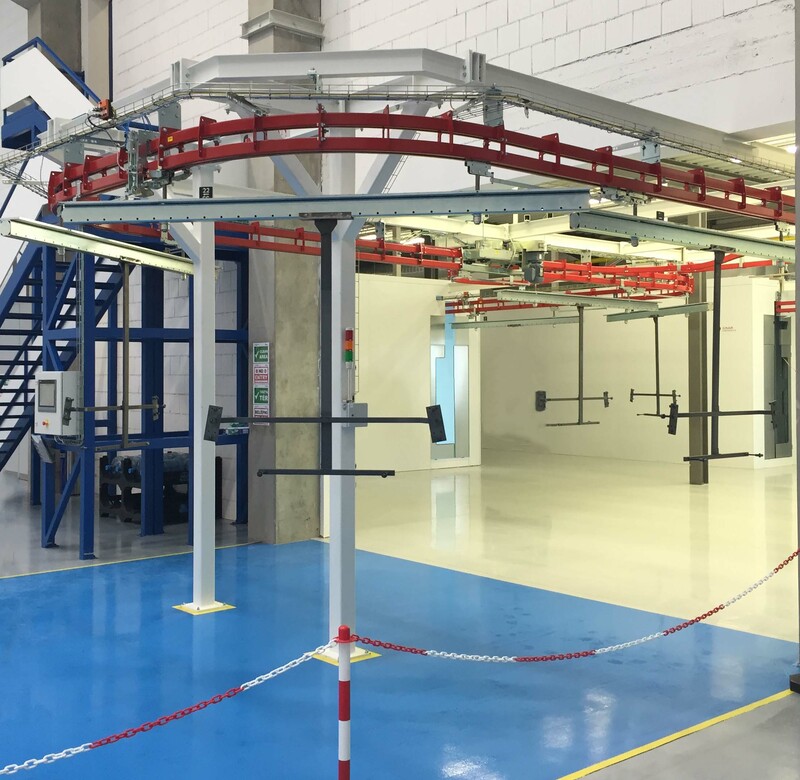 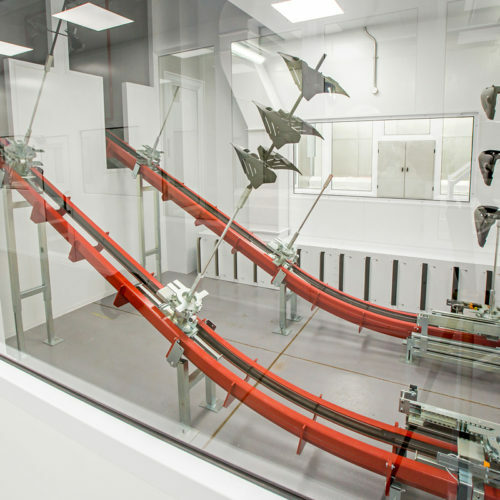 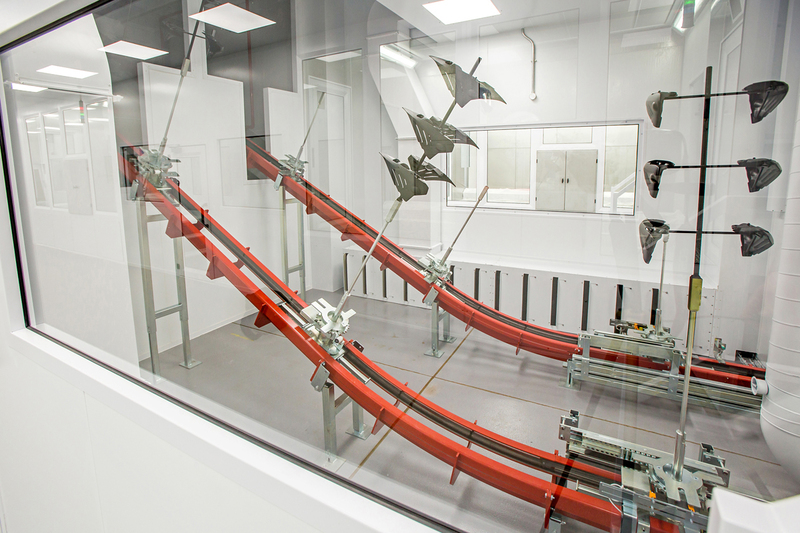 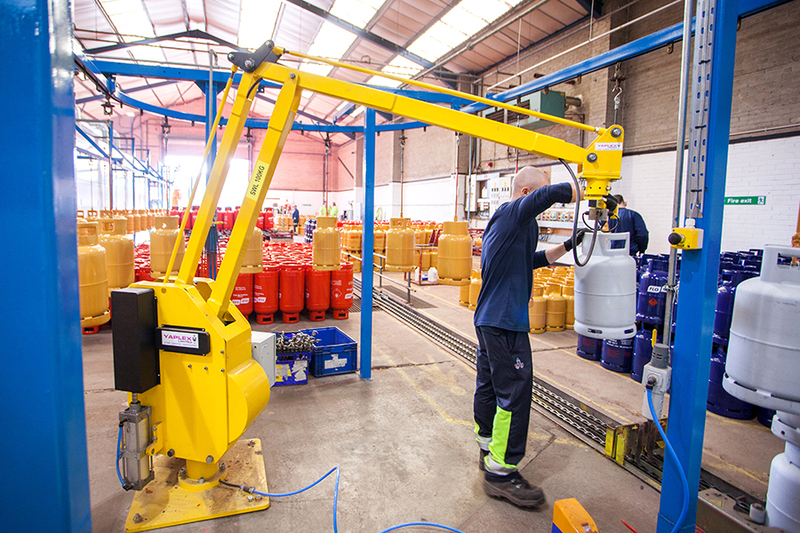 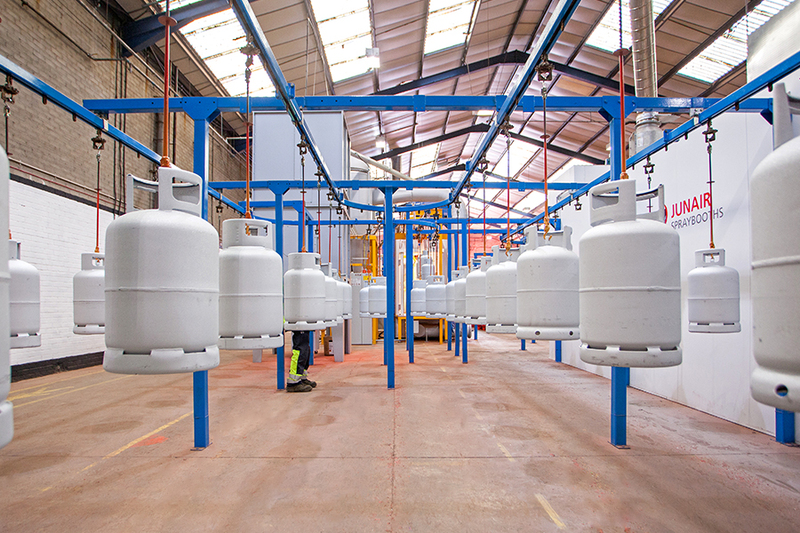 Material handling within paint facilities is too often overlooked and time and resource is wasted, however with Junair’s overhead conveyor systems you can optimise the process with the available resource, minimise labour input and increase productivity. 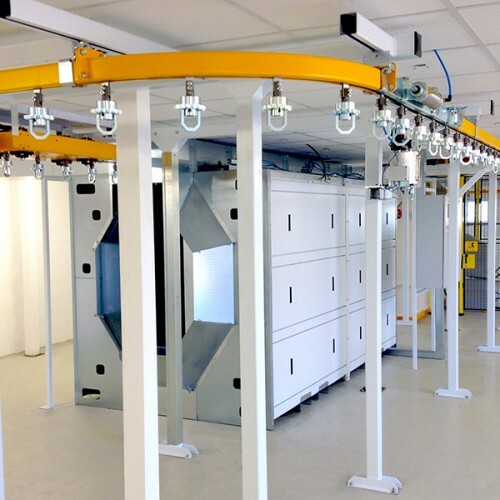 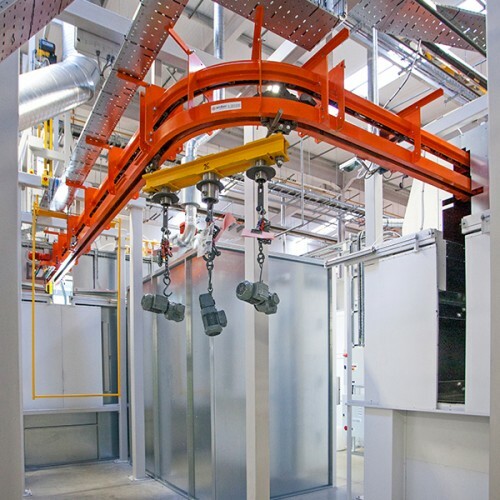 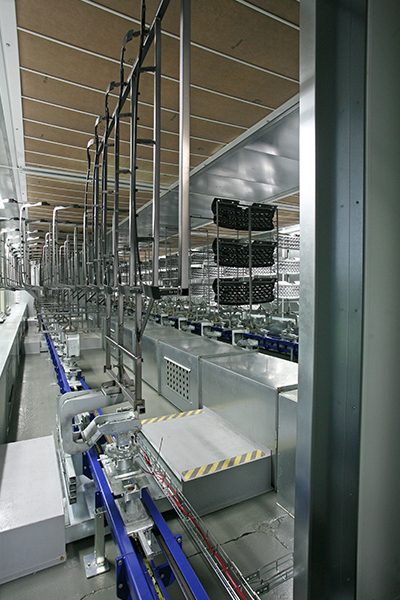 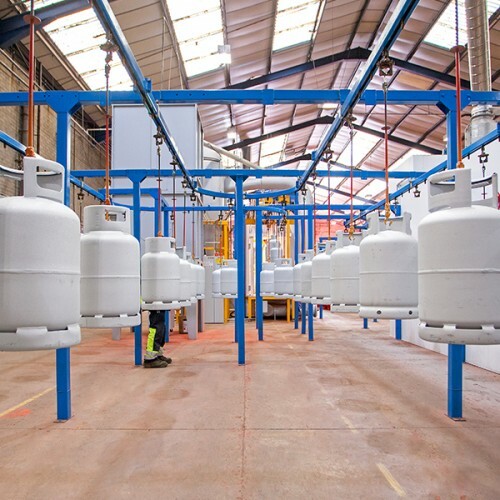 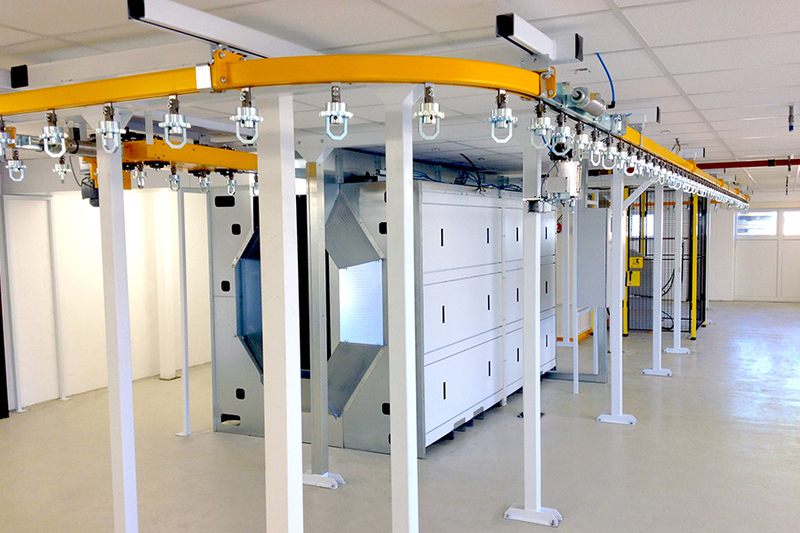 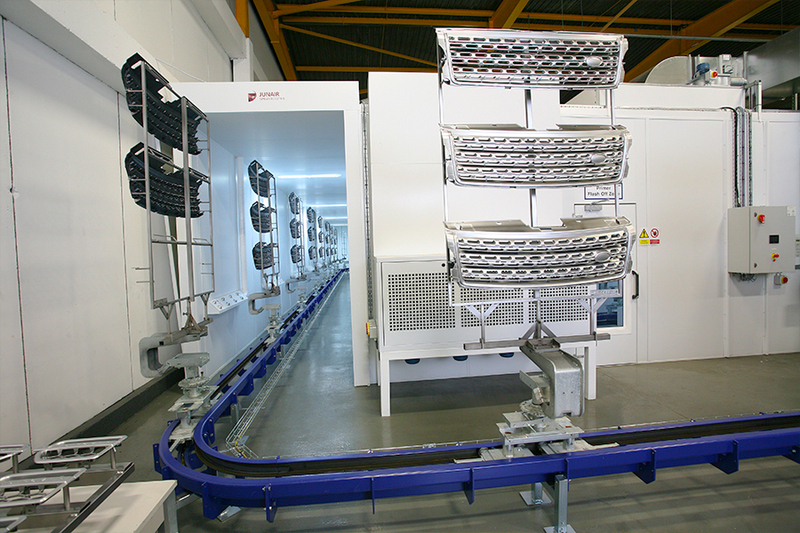 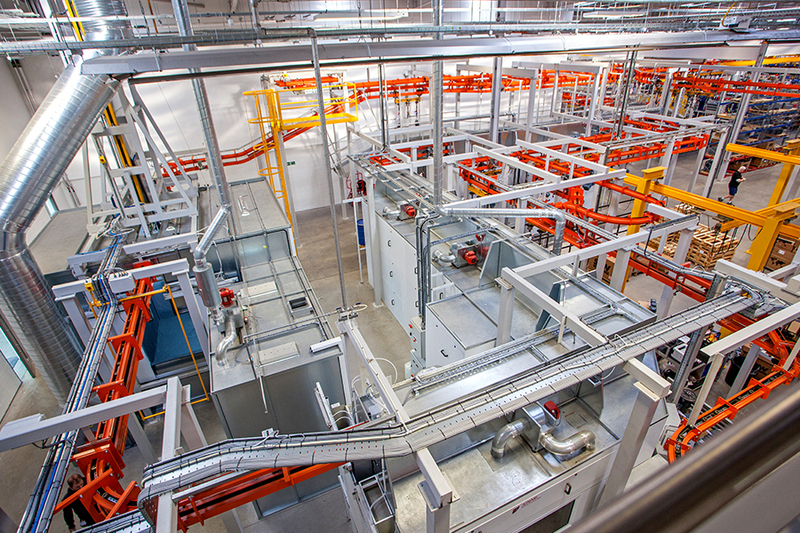 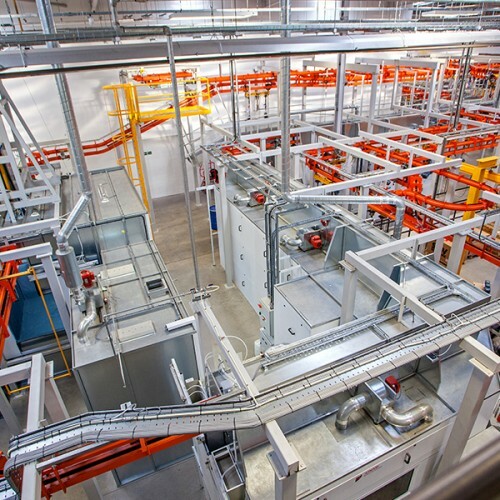 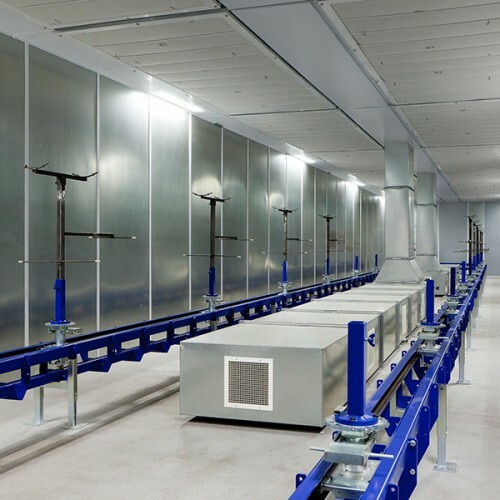 Overhead conveyor systems can be manual, powered or more sophisticated power and free type; in all cases your overhead conveyor systems will improve the production flow within your industrial spray booths by providing flexible handling and delivery of products, allow extra room for personnel and increase manoeuvrability of your products on the production line. 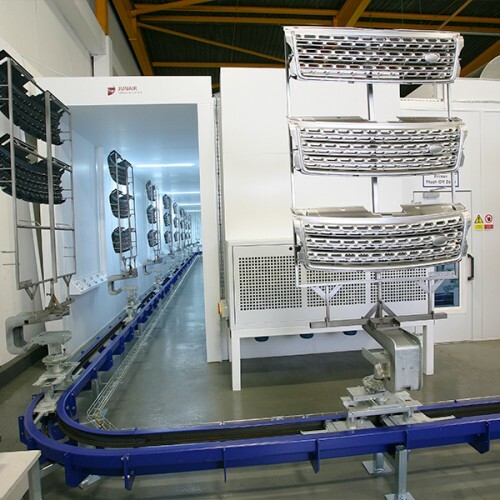 Junair supply a full range of conveyor systems which are deigned to maximise your space and increase your productivity, often these systems are integrated into a LEAN manufacturing processes. 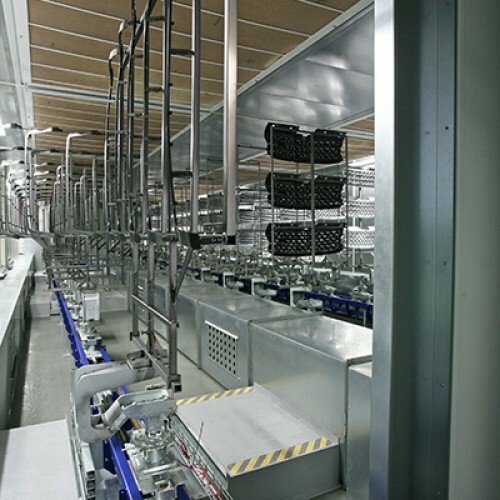 All the floor and overhead conveyor systems can be supplied with full plant integration including control systems, robot interface, product coding and data logging. 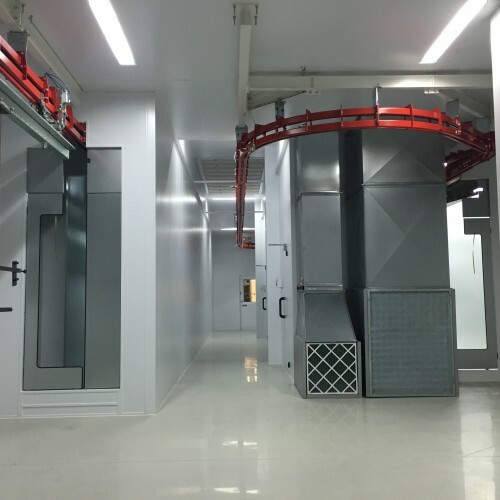 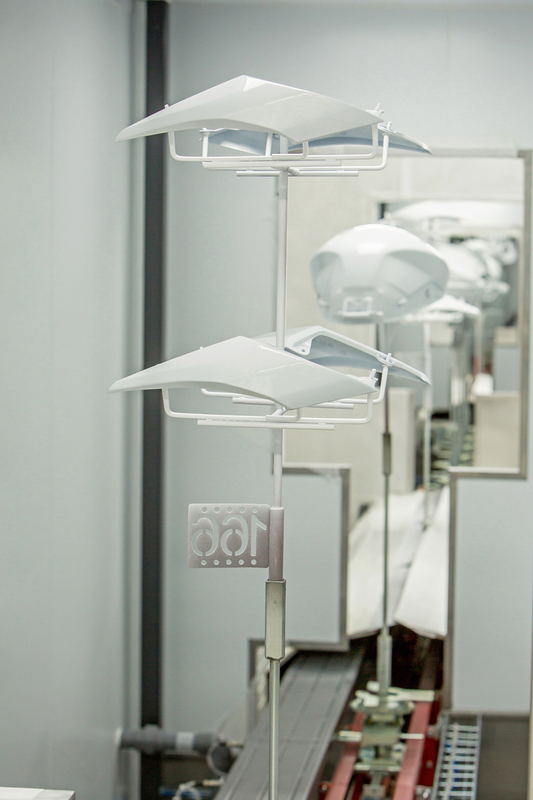 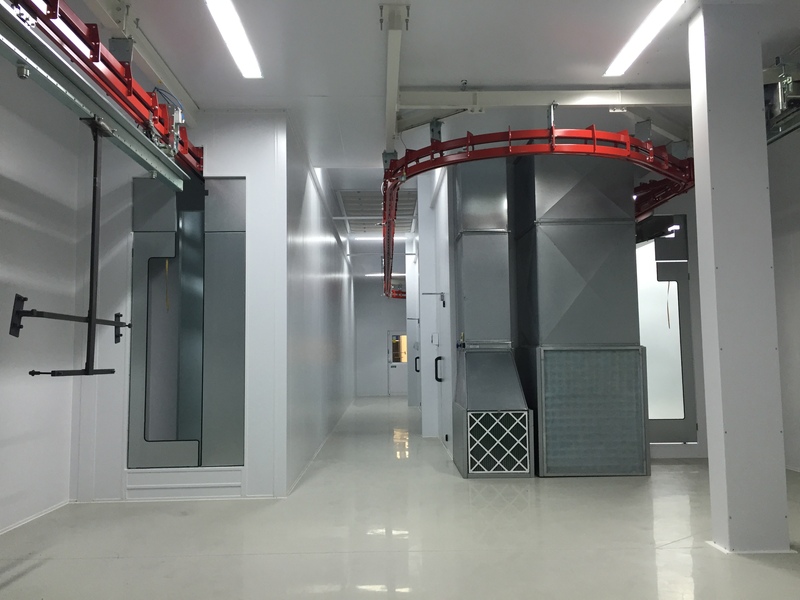 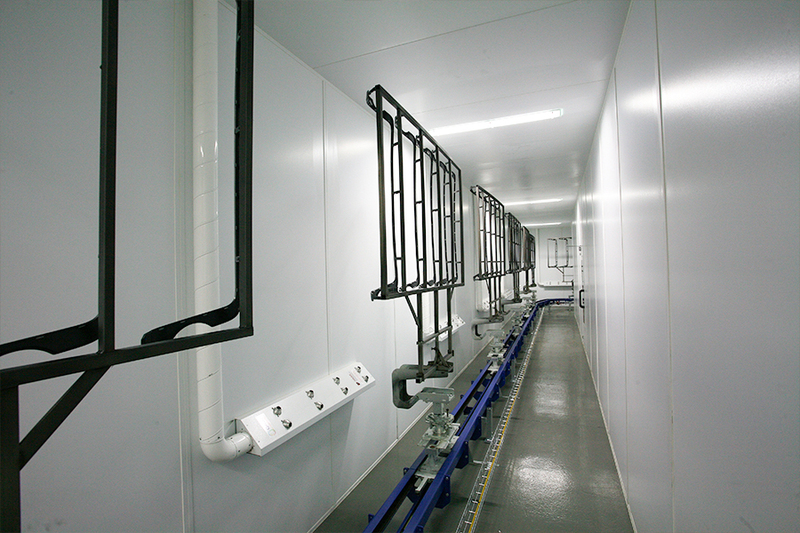 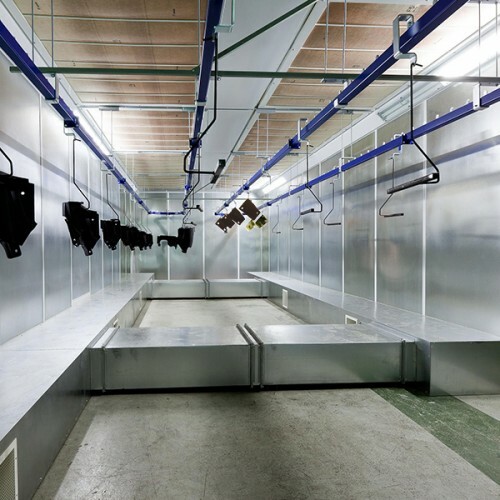 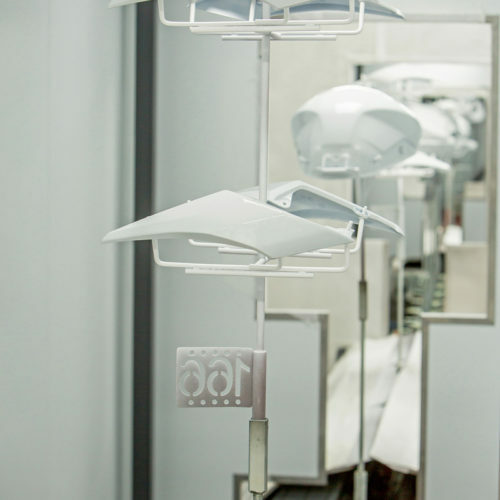 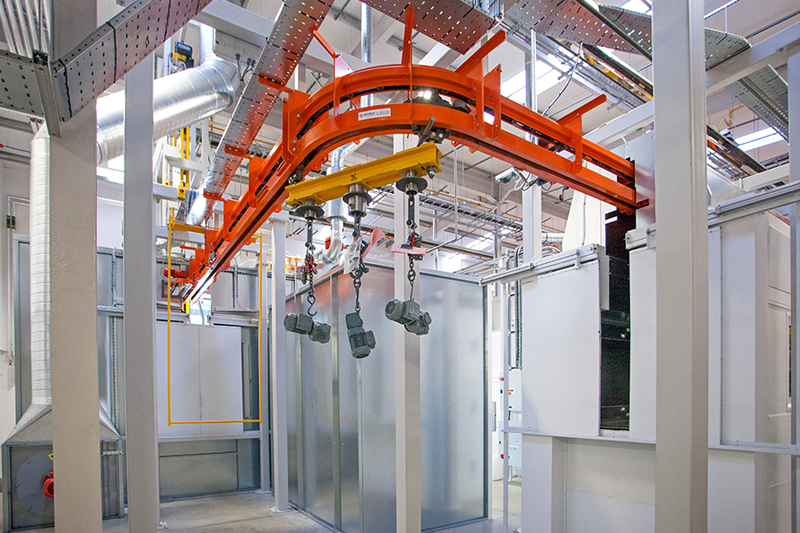 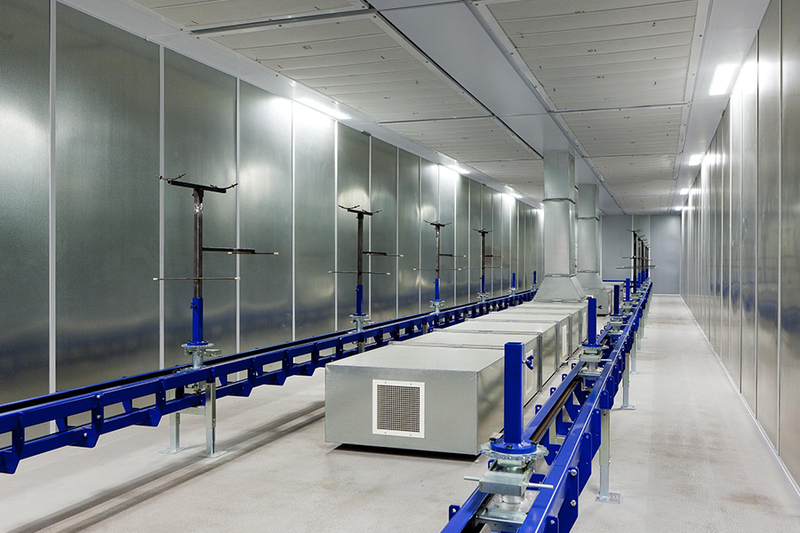 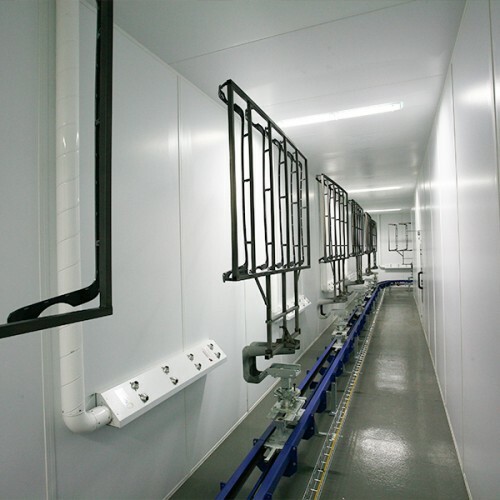 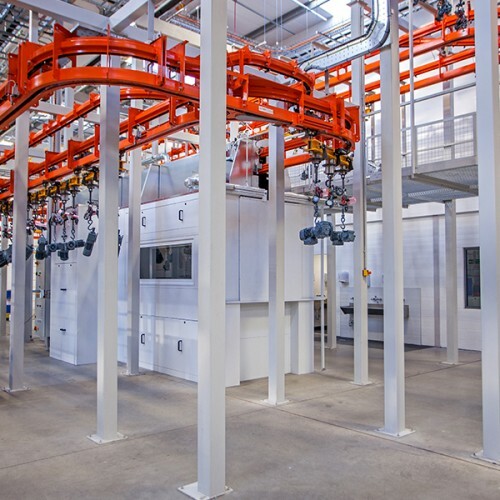 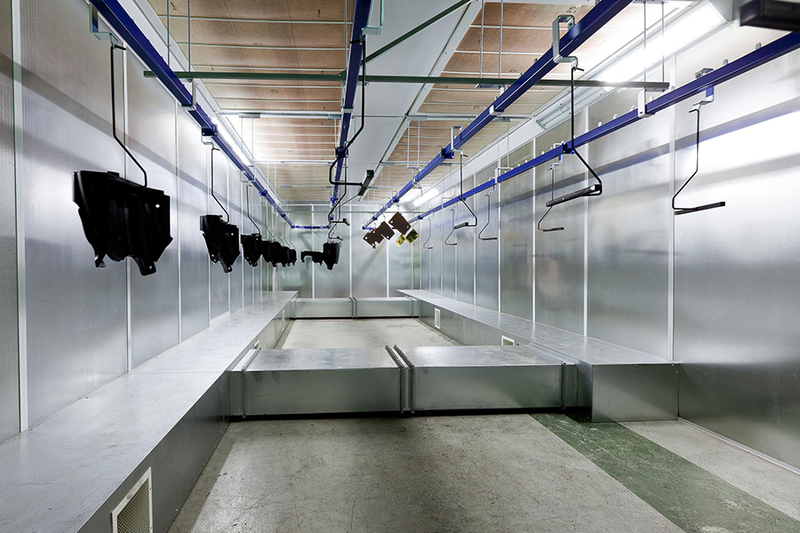 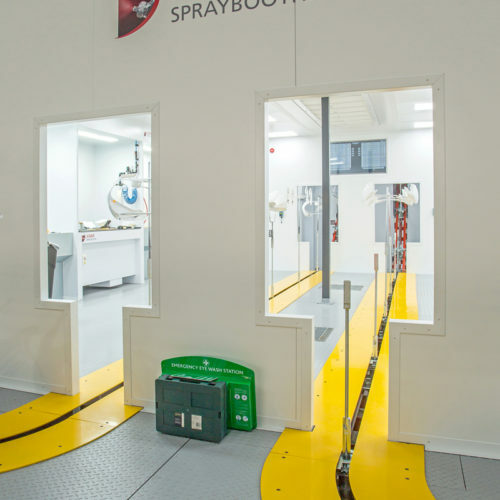 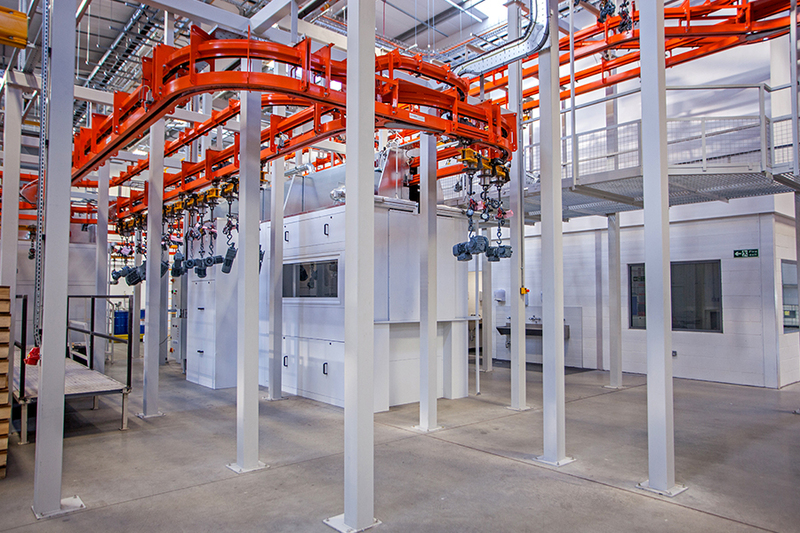 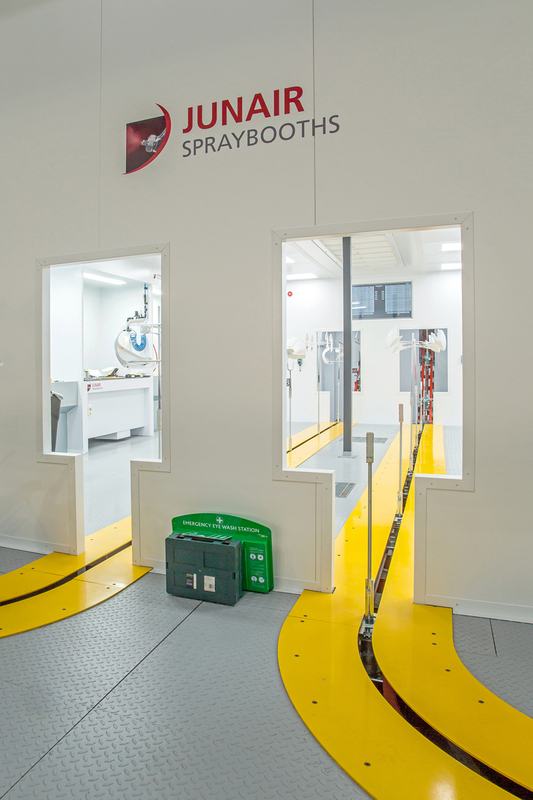 See more in the collection of industrial spray booth equipment and solutions.